Paint Dough is a fun combination of painting and sculpting! 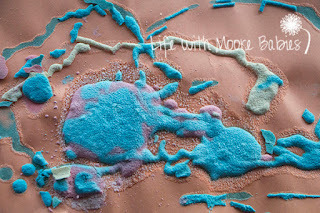 Squeezing the paint bottles works hand muscles and the finished product has a fun texture. 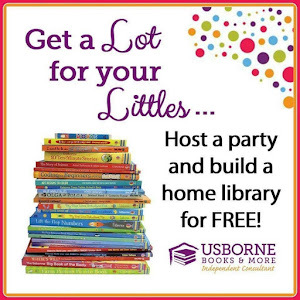 As a bonus it is made from things you probably already have in your house! 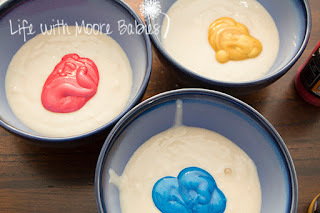 My kids loved their first experience with paint dough. 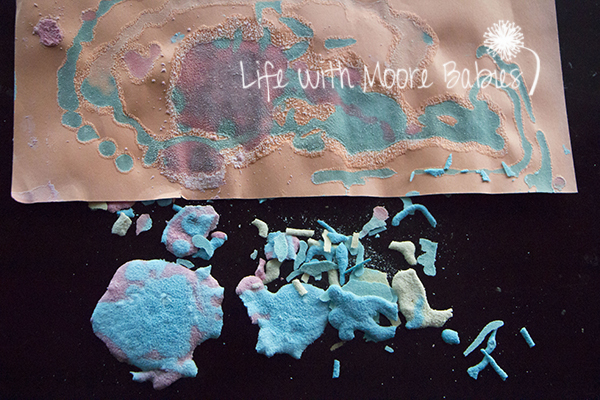 Of course, my kids love anything that involves making a mess, so this process art project was a win! It definitely won't be our last experience with paint dough as we learned something very interesting about the substance once it dried (you will have to keep reading to find out what)! 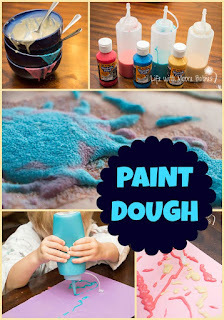 To make your own paint dough mix 1 part flour, 1 part salt, and enough water to for a paste. 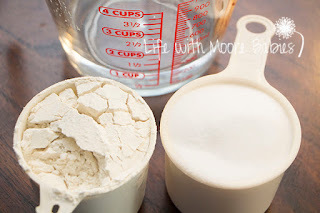 We used 1 cup flour, 1 cup salt, and some water (no exact amount; just until you have a squeezable paste). 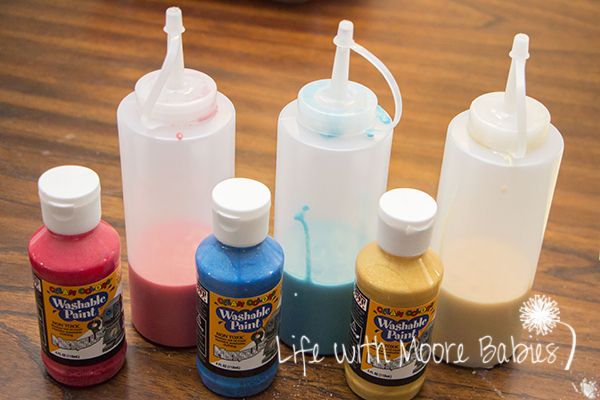 Once mixed, you can divide the paste into separate bowls and add some tempra paint to get the color you want. I am pretty sure you can use food coloring as well, but the colors may not be as bright. We stuck with red, yellow, and blue tempera paint. 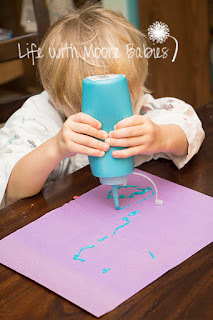 Place the colored paste in squeeze bottles and prepare to paint! You can see our squeeze bottles ended up about a third full, and this was plenty for my three kids to make several pictures each! 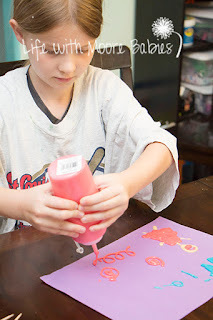 Using thick paper start squeezing on your paint dough. 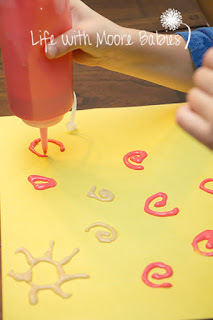 My kids had a great time squeezing all kinds of random designs; they did try making some pictures, but you cannot create detail with paint dough. 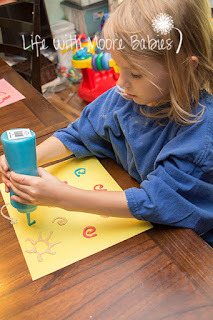 After ours dried we learned that large designs rather than thin lines work best! 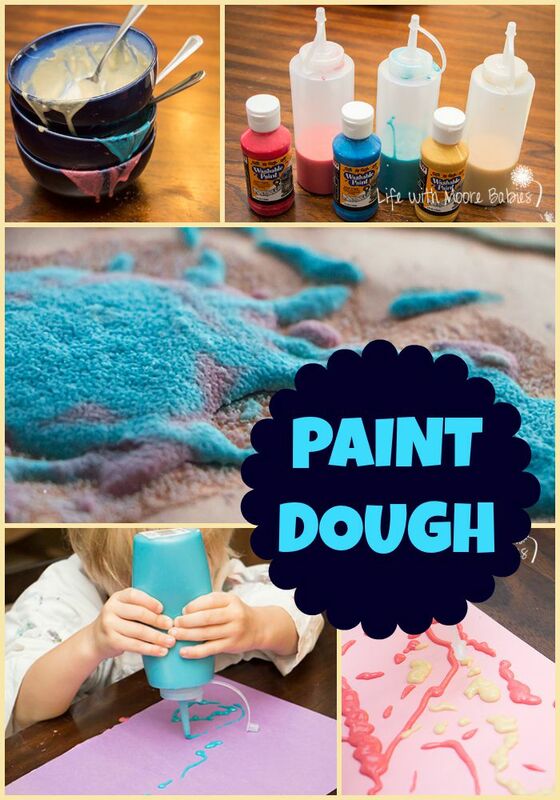 Once you have used up all your paint dough leave your creations to dry. 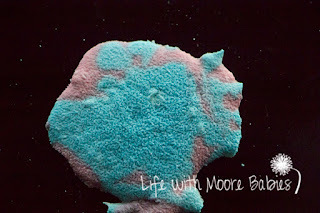 The color may fade a little, but you will also get a fun grainy texture. What we didn't expect, our paint dough creations came off the paper! 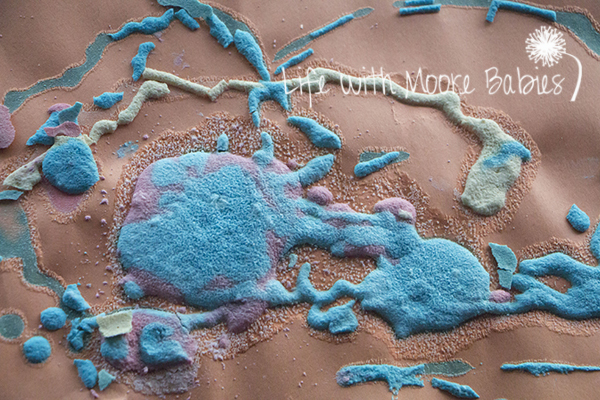 Not only did it come off the paper, but as long as the chunks were thick enough they stayed together! So this really was like using squeezy paint to make sculptures! We could take these pieces and glue them down to make entirely new pictures! 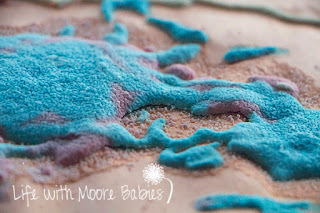 I don't know if we will do that, but we are going to have to try again and see exactly what we can make with paint dough; we will be sure to update you all as well! 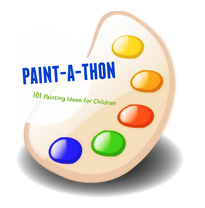 Head over to Emma Owl to check out all the brilliant painting ideas during PAINT-A-THON 2015!